The Weather in Fernado de Noronha. So you've been wondering how's the weather in the paradisiac island of Fernando de Noronha? 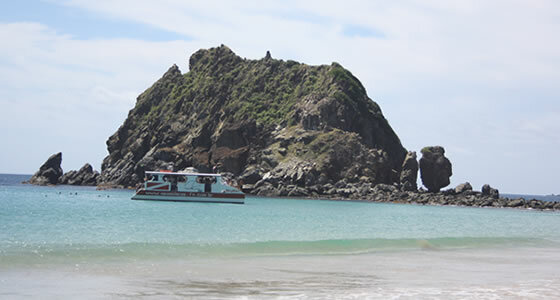 Fernando de Noronha has a fairly consistent climate all year round. This is what makes the islands such a popular tourist destination. Visitors can rely on the warmth and sunny weather from January through December. During the days temperatures are usually in the 80s. At night travelers can expect the temperatures to fall into the 70s but rarely do they get any lower. The temperatures in December, January and February reach an average high of 86 degrees F and an average low of 77 degrees F. March, April, May and November average highs are 85 degrees F and average lows are 76 degrees F. June, September and October can reach as high as 84 degrees F and as low as 76 degrees F. In the winter, July and August average highs are 83 degrees F and the lows are 75 degrees F.
The rainy time of year is March, April and May when monthly precipitation can range from 10 to 11 inches. In June the rain slacks off and average precipitation is 7.5 inches. In July travelers can expect to see around 5 inches of rain and it really drops off in August with only 1.5 inches of rain. September through December are the dry months with rainfall less than one inch. The rains do begin to pick up in January with 2.5 inches and February with just over 4 inches. No mater how you look at Brazil it is just plain humid. There are no ifs, ands or buts about it. Do not expect to have many good hair days when visiting Fernando de Noronha. Humidity is at its highest from April through July at over 80%. The lowest humidity levels occur during September with average relative humidity at 73%. Humidity stays just below 80% from August through February.